Small clouds of Petra flour billow over the bench tops at both Pizzaperta at The Star and Da Vinci's Italian Restaurant in Summer Hill. The product imported from Padova is a wholegrain wheat flour and highly nutritious, which is why chef Stefano Manfredi is so passionate about it. One year on, this artist's rendition of Pizzaperta is a reality at The Star. 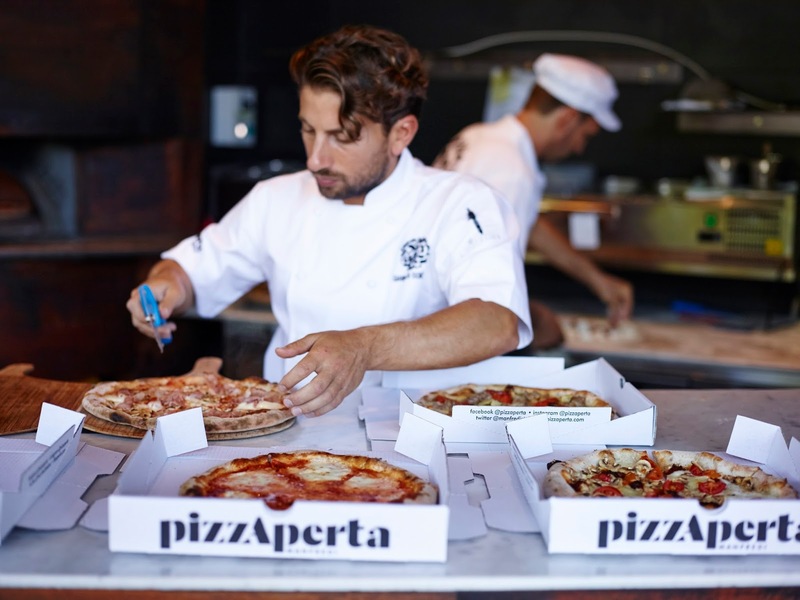 When Manfredi put his name to the hoardings of Pizzaperta at The Star one year ago he says it was with the intention of changing the public’s perception of good pizza. Manfredi says Pizzaperta at The Star embraces his obsession for quality produce and his fetish for the "finest quality Petra flours". Molino Quaglia, near Padova, Italy, is the only Italian industrial mill producing stone-milled flours with 100 per cent Italian grains and Manfredi was the first to import the artisan ingredient to Australia. “It was six years ago when I first tasted a pizza made using this flour. It was a revelation,” says Manfredi, who is known as ‘Australia’s Godfather of Italian cuisine’. Manfredi’s says his passion for pizza made following traditional methods in combination with the unrefined, stoneground Molino Quaglia Petra flours began when he visited La Cascina Dei Sapori, in Rezzato, in Lombardy, owned by leading Italian pizzaioli Antonio Pappalardo. Gianluca Donzelli surfed on the pro circuit in Italy. He is now carving things up at Pizzaperta. 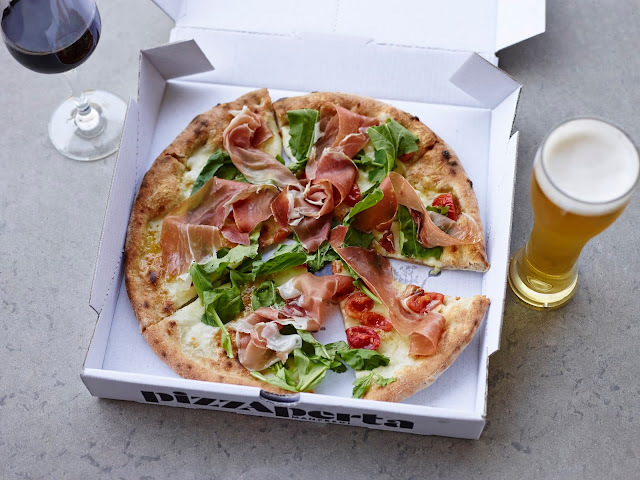 Manfredi invited Pappalardo to Australia to demonstrate the art of natural leavening to Pizzaperta pizzaiolo chef Gianluca Donzelli (a former pro surfer). As well as sharing his knowledge about the flour, Pappalardo led the kitchen through the 48-hour fermentation process using the classic ‘biga’ method “resulting in a more easily digested dough”. As well as his penchant for using the special stone-milled flours, Manfredi says he and Donzelli like to play around with non-traditional toppings to better reflect the experimentation that is happening in Italy. 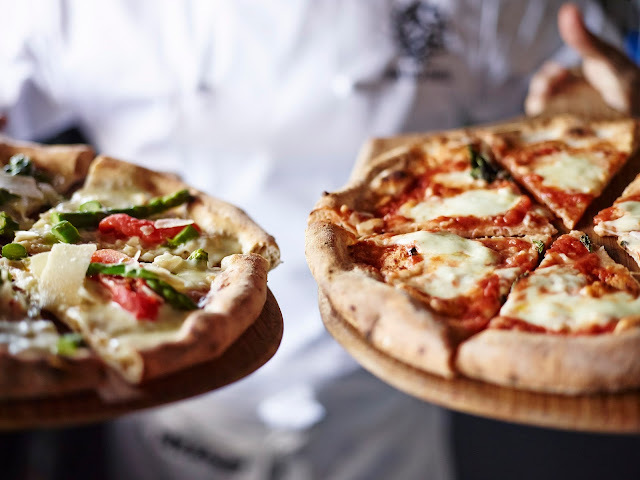 Manfredi says he has curated a menu of classics and new wave options that he says ‘reflect the renaissance of pizza that is happening in Italy’. “If you want a traditional pizza in Italy, you go to Napoli. But if you want to see something really exciting, know that there is a new wave happening in Italy and I’m interested in bringing that culture to Australia,” he says. “Pizza began in Napoli but it belongs to the world. I love pizza in Naples, but I also love pizza al taglio (by the slice) in Rome. I travel to Italy a lot and although the home of pizza is very conservative there are all sorts of experimental toppings being used around the country. 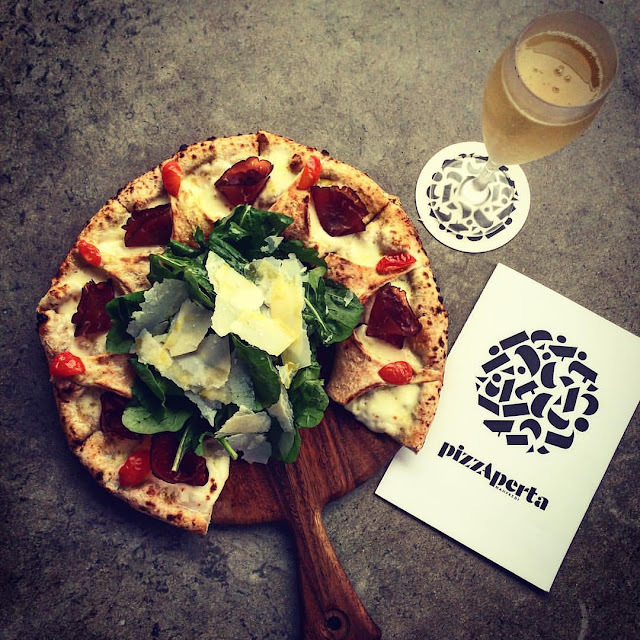 Pizzaperta is converting even the most ardent pizza purists with its inventive toppings. Some of the most incredible toppings include crudo, raw scampi with a bit of thyme, or truffles with fontina. First we start with the perfect base. Then we bring these tastes of the Italian kitchen to the pizza,” he says. Pizzaperta pizza made using the Petra flour feature more contemporary toppings than pizza via Napoli. The name Pizzaperta translates to ‘we are open for pizza’ referring to the fact the 130-seat piazza-style eatery is al fresco. The sparkling centerpiece of the restaurant is Stefano Ferrara M130 handcrafted wood-burning oven. Da Vinci's Italian Restaurant has converted to using Petra flours. Photo: Carla Grossetti.